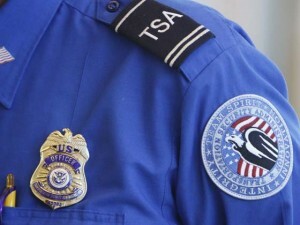 A drunken TSA screener was forced off the road by Port Authority cops early Sunday when she was spotted driving in a restricted area, The New York Post reports. Authorities said Kimberly Flemming, 33, was off duty and driving at twice the legal limit for alcohol when she refused to comply with orders to pull over near Newark Airport. Police forced her to stop by pulling in front of her 2103 Nissan Altima. Police found her wearing one boot with the other off. She allegedly was drinking at a nearby bistro but insisted she wasn’t drunk. “I’m not drunk,” she told the police. She was charge with driving while intoxicated. Posted: 1/5/16 at 9:28 AM under News Story.